The UConn Marching Band has long been a source of great pride for the University of Connecticut and the state. Under the leadership of Dr. David Mills, and assisted by Marvin McNeill, the UCMB has emerged as outstanding band program and has been gaining recognition with the growth of the UConn football team. 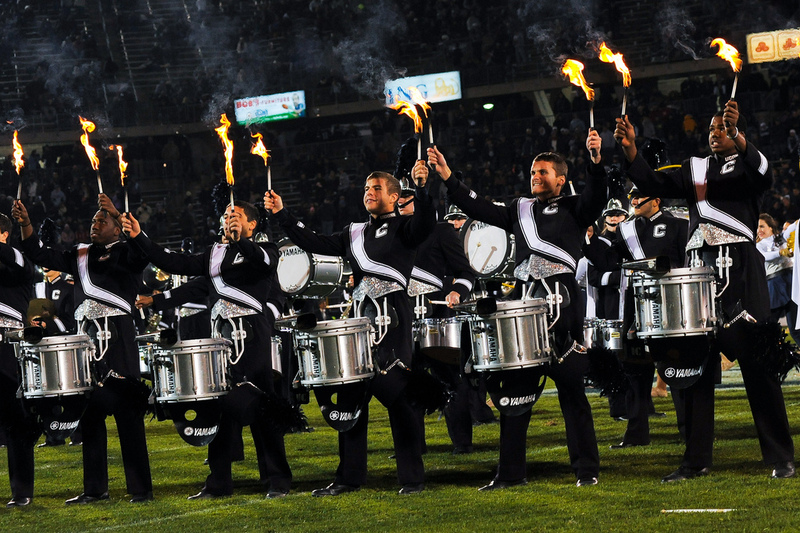 Each week at home football games, the “Pride of Connecticut” performs its traditional Post Game Show for hundreds of enthusiastic dedicated fans who don’t leave the stadium until the last note. Over 300 students experience the excitement of college marching band at UConn, making it the largest student organization on campus. The UCMB has performed all over the east coast and has attended 6 bowl games including the BCS Tostitos Fiesta Bowl in 2011! Click here for a map of UCMB performance venues.